This week for Friday Finds, I think Nymeth at Things That Mean A Lot has to take some of the blame. 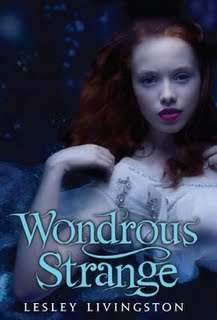 I have read about so many amazing books on her blog this week, one that I have even managed to Bookmooch. 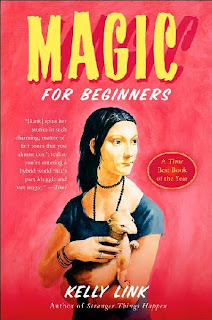 1) Magic for Beginners by Kelly Link. This is the first one that I found over at Nymeth's blog. It is a collection of short stories set dealing with magic realism. If you go over to Nymeth's site, you can read some of the paragraphs from the story and see how wonderful they are. Here is information about the book from Kelly's own site. Link's engaging and funny second collection -- call it kitchen-sink magical realism -- riffs on haunted convenience stores, husbands and wives, rabbits, zombies, weekly apocalyptic poker parties, witches, superheroes, marriage, and cannons -- and includes several new stories. Link is an original voice: no one else writes quite like this. Another one that I found over at Nymeth's blog. This is the one I have managed to get hold of via Bookmooch. The family of Barney's dead mother are aware that there is something special about this particular boy. As he resigns himself to being haunted again, Barney's sister and brother set out to discover the reason behind his supernatural attraction. This book is a winner of the Carnegie Medal. Isn't the cover really creepy? I feel like the eye follows you around the room. 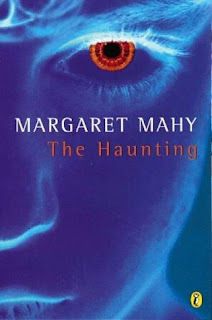 Nymeth mentioned that the book reminded her a lot of the books by Diana Wynne Jones, so if you like her books then I would say that this book is definitely one that you would enjoy. I found this over at Sara's blog The Hiding Spot. This is the first book in a series and the second one Darklight has just come out. It is a book full of faeries, which is always something I just can't resist. When Kelley moves to New York to pursue her dreams of theatrical success, she expects that her only encounters with mythical beings will be confined to the stage, in the Avalon Grande Theatre's production of A Midsummer Night's Dream. All of that changes when she meets Sonny Flannery, who introduces Kelley to a world she never knew existed. A member of Auberon's Janus Guard, he patrols the portal (in Central Park) between the human and faerie worlds on the few dangerous nights when it opens and members of the Unseelie Court can pass into the mortal realm. He is strangely drawn to Kelley, and as he gets to know her, he begins to suspect that there is more to her history than either of them know. Through encounters with sirens, hellhounds, and kelpies, Kelley and Sonny are drawn irrevocably into a battle among the Fey. Despite the budding attraction between them, forces they can hardly understand seek to keep them apart. Set against the backdrop of present-day New York City, this enchanting first novel weaves together the worlds of theater and magic in a way that is sure to please fans of both. Readers will revel in the hints of Shakespeare within the text as they are introduced to faerie creatures both familiar and "wondrous strange." 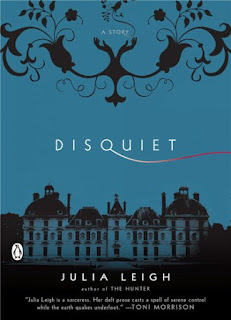 4) Disquiet by Julia Leigh. I found this at Eva's blog 'A Striped Armchair'. Eva read this for the Novella Challenge, so it is a nice short read. Accompanied by two young children, Olivia has left a violent marriage and returned to her childhood home, an austere chateau surrounded by formal gardens. She considers herself to be already 'murdered', dead before dying. At the same time as this unannounced homecoming another couple are expected at the chateau: her brother Marcus and his wife Sophie are due back from the hospital with their newborn. In this brittle world of emotional control, everyone tries to hold themselves together as a tragic secret pushes them towards breaking point...A darkly mesmerising tale, "Disquiet" is disturbing, atmospheric, subtle and quite brilliant. Eva loved it and mentioned that it has a real air of creepiness. Just up my street. So there are my finds this week, what books are you on the look out for? I agree with you about MAGIC FOR BEGINNERS. I posted about its free book download last year in October. Creepy bunch of books you've picked out there! Some interesting sounding books but it's the covers that really caught my attention. I love unusual/eye catching covers and there are some terrific ones here, just the kind of pictures that would have me picking them up. I need to read the Magic for Beginners. Perfect for me as I wish to learn magic! Disquiet sounds fantastic and I somehow missed Eva's review. Thanks for bringing it to my attention! Your Friday finds look amazing! I'm most interested in Disquiet and The Haunting. I love you enjoy all of those when you get to the, Vivienne! I have Disquiet on my wish list too! All four books look great. I think I'll add them to my TBR pile especially Disquiet.